Owning and running a business is no easy feat. While you start a business, you need to take care of various aspects such as marketing, finance, legal, staffing, and production. There are more than 63 million MSMEs in India. Today, all these businesses would agree that having an online identity is undebatable. Yet, more than 68% of these businesses are not online today. This is because they lack time and money to build their online presence or they lack the technical skills to create a modern website. The time, cost, and complexity of creating and maintaining an online presence is overwhelming for most of these businesses. There is one company that helps businesses in building their online identity. After helping more than 10,000 small business owners of countries like the UK, Spain, USA, Germany, and France, UENI is now in India to help small and micro businesses to build their digital identity. UENI believes in empowering the small and micro businesses. 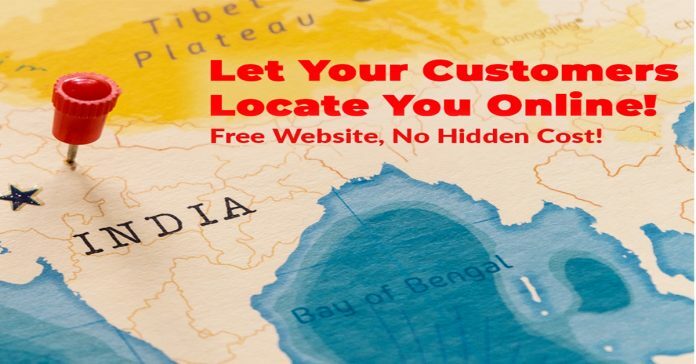 Any business needs to be visibleaccess to customers searching online. UENI says that they are proud to give a fair chance to the millions of local businesses to compete online. Unlike website builders or digital agencies, UENI delivers a fully built website and lists the businesses on trusted, high traffic platforms with very little input from the business and for a very low cost. In fact, their starter product is free. With a simple mission of bringing small businesses online, UENI today delivers to the thousands of businesses every month a fully-built online presence and access to customers searching online.